TEMPO.CO, Jakarta - Jakarta Governor Anies Baswedan stated that traffic engineering would not be effective to reduce the congestion in Jakarta if the number of private vehicles continues to grow. 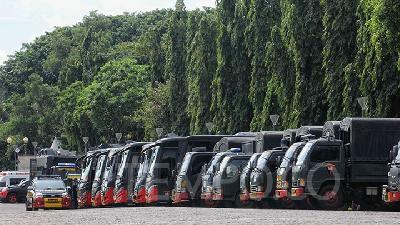 Therefore, he focused on pushing the people of Jakarta to use public transportations. 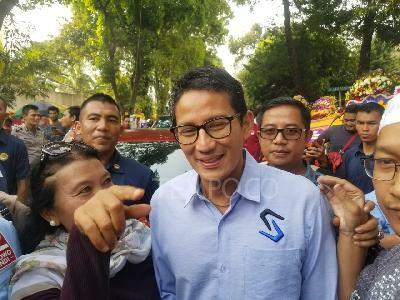 “My concern is how to make more Jakarta residents use public transportation,” Anies said at Jakarta City Hall, Thursday, October 11. Anies' statement is the response to the question on the continuation of odd-even policy in Jakarta which will be determined before October 13. Jakarta Administration together with the police and Greater Jakarta Transportation Management Agency (BPTJ) have agreed to implement the policy. To reduce the congestion during the 2018 Asian Games event, the trial of the traffic policy had begun on July 2. Currently, the extension of odd-even policy is still valid until the 2018 Asian Para Games is over on October 13. The Jakarta Governor Regulation No. 92 of 2018 concerning traffic restrictions with odd-even policy towards and during the 2018 Asian Para Games will end on October 13. 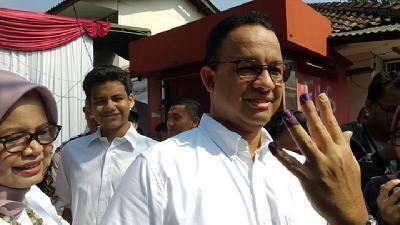 Anies Baswedan must immediately decide the continuation of the policy.